I’ve been enjoying the Chicago Blackhawks run to the Stanley Cup Finals. I went to a party last week where a friend, Bobby Krueger, owner of MAVREK Development in Chicago, was in attendance. Game 2 against the LA Kings was on TV. Krueger played junior hockey with the Cleveland Barons and then at Notre Dame. The closest I ever got to playing hockey was watching Doug Dorsey in The Cutting Edge. I have questions about hockey. I want to know how I should think about the game. What strategies are being employed? What tactics will the Bruins employ against Toews and Kane? Do guys named Pierre get ridiculed? I want an expert to bring me up to speed as quickly as possible. Bobby’s expertise can help me think about how I think about hockey. In much the same way, Mitch Joel’s new book Ctrl Alt Delete can help you understand how technology, eCommerce, social media and the like are converging to change the business landscape forever - including homebuilding. How will you share your expertise with the world? Ctrl Alt Delete will help you frame the way you think about this question. When you can market your business (and yourself) on a smartphone, a tablet, a laptop, a desktop, a TV and a stainless steel side-by-side fridge… many of us are looking for ways to understand the interplay and implications of each. Where should you commit your Resources - your capital, talent and time? Ctrl Alt Delete will help you with this. So what if my company doesn’t have a social media presence? How can social media help me minimize service calls? Why would I ever be on Instagram? Wait… what’s a Podcast again? Ctrl Alt Delete will help you answer these questions so you can develop your own strategy. One that is coherent and thoughtful. And Mitch Joel is Canadian. I’m sure he has some expertise to share on hockey as well. 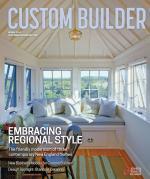 Bottom line: Ctrl Alt Delete is a solid read for anyone in the homebuilding industry. Especially helpful for sales and marketing leaders who are less than 100% confident when it comes to social media and technology. Mitch Joel writes a fantastic blog, subscribe to it here. You can see how Mitch shares his expertise through his blog while learning something nearly every day of the week. Note: Other than enjoying Mitch's content for the past several years, I have no affiliation with him or his firm. The links provided throughout are purely for your benefit. Enjoy. Comments on: "Buy it now book recommendation: Ctrl Alt Delete by Mitch Joel"